Shoulders need to be given urgent priority if you want a body that is perfect in shape. Great shoulders add more versatility to your body, and thus your overall body looks to reach new heights. Now let us look in detail at the top 10 shoulders exercises that would indeed help you turn into a beast. We notice that rear delts in the soldiers don’t get targeted much. But for having perfect soldiers that would fit into your favorite t- shirt you need to work a lot on rear delts alongside front and middle delts. Front and middle delts have the workout been done through shoulder and chest press, but it is the rear delts that need to be put into a specific target. For the very same purpose, Cable reverse fly comes into action adding a new muscle and perhaps adding more beauty to your body. On the cable, machine attaches D-handles to the upper pulley available. Hold the left side of the handle in your right hand and vice versa and then place yourself in the center equidistant from both the cable. Place your elbows straight without locking them and have a neutral grip on your arms. Open your arms from the level of the shoulders keeping the elbows fixed such that your rear delts should feel the stretch. You will come across a position which would be similar to open hug. Upon reaching that point reverse it to bring it to the starting position. Repeat the above steps for a fixed number of times. Many people think that single arm lateral raise is quite superior to two-armed version, but the fact is both arm lateral raise is far better than single arm as it allows the ability to cheat thus enabling you to rotate at the waist during the repetition. Put both the dumbbell in each of your hand. Put your chest up; knees little bend, back flat, eyes concentrating to a point on the floor and make sure the torso is parallel to the floor. Slightly bend the elbows and fix it. Hang the dumbbells directly beneath. 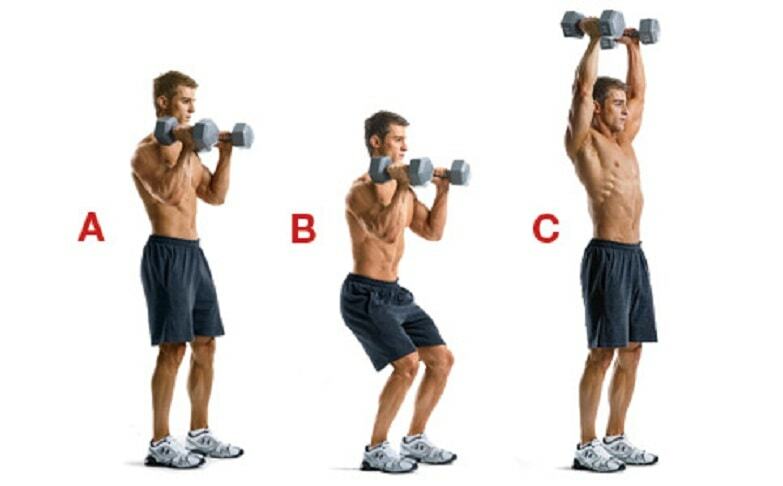 Try raising the dumbbells powerfully to a point such that it is parallel to the floor. Pause for a moment and then lower the dumbbell to the starting position. Repeat the above steps again for a repetition to find the desired result. The shoulder consists of some group of muscles that needs proper attention to make it complete. Shoulder presses are more concentrated on front delts and do not actively participate in middle delts. For the middle delts, nothing can be better than a lateral raise. Try standing sideways with legs at a shoulder distance apart alongside low cable pulley. Hold the d-handle with the hand facing opposite the pulley. Try to keep your abs tight, shoulders back and perhaps your chest up. Try to raise the cable to the side. Try to reach the arm at the height of the shoulder, pause, and contract for few seconds and then come back to the same position. Try repeating the same steps and changing the other sides after doing the given number of reps. In the front cable raise a lot of pressure would be on your anterior delt thus benefiting a lot on your shoulders. 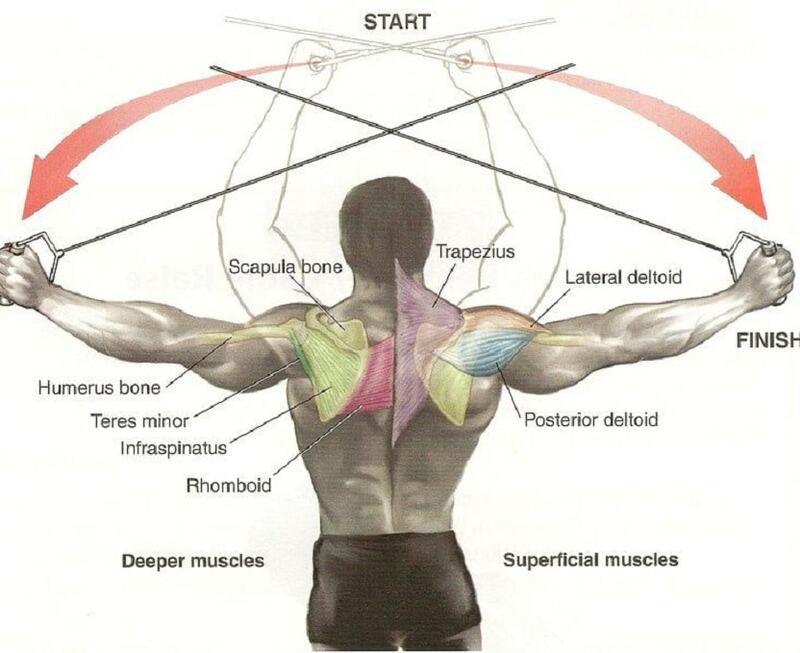 Cable raise to the front is quite useful and thus will help you to tone your shoulder muscle. Hold the D-handle in one hand and stand facing your back to the lower pulley. Place the other hand on your hips. Keep your back flat and chest being elevated with knees slightly bent. Raise the cable powerfully until you reach shoulder height. Try holding and squeezing for few seconds and then lower your arm to the same position. Try switching it to the other shoulders after completion of the reps and repeat the following above steps. Push press is perfect for the fans who loves compound exercises. It is a complete powerhouse which follows a full overhead action. It is one of the best exercises for gaining mass that is mainly focused on shoulders. Pick up a loaded barbell up to the shoulder level. Try using an overhand grip to use the bar with elbows pointing forward resting the bar at the top of the upper chest. Bend the knees a bit and do a quarter squat. Now extend the bar upwards by giving the elbow full extension. Pause for few seconds and then lower it back to the upper chest position again. Repeat the above steps for a defined number of reps.